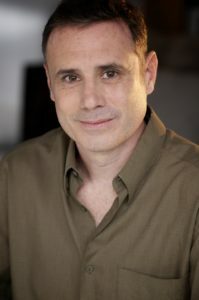 MFA, screenwriter; WGA member who has written scripts for Disney, New Line, Fox, Paramount, and Warner Bros. Mr. Sedaka’s feature credits include Overnight Delivery, starring Reese Witherspoon, and Vegas Kids, which he co-wrote for Madonna’s Maverick Films. He has written for CBS’s King of Queens and sold the reality show Comeback to E! Entertainment Television. “Read lots of scripts.” “Write what you know.” “Keep on writing.” Sound familiar? It’s the stock advice we’re all given when posing the age-old question “How do I write a screenplay?” These are all good suggestions and I highly recommend each and every one of them. Alas, if it were only that easy. A screenplay, at least a good one, must straddle both sides of a very narrow fence. It must be both page turner and blueprint, both passionate and marketable, both art and craft. These are the daunting challenges we, as screenwriters, must face every day, and it’s why we so often just stare at a blank page. Here’s the good news, though. It is possible to overcome these challenges, and that, more than anything else, is what I hope to impart in my class. Can I make everyone a great screenwriter? Probably not. But what I can do is help you understand what it means to be a better screenwriter. I can show you ways to develop richer characters and more engaging storylines. I can advise you on how to think commercially while still staying true to yourself. And all these tools, in the end, will help you make yourself the best screenwriter you can be.